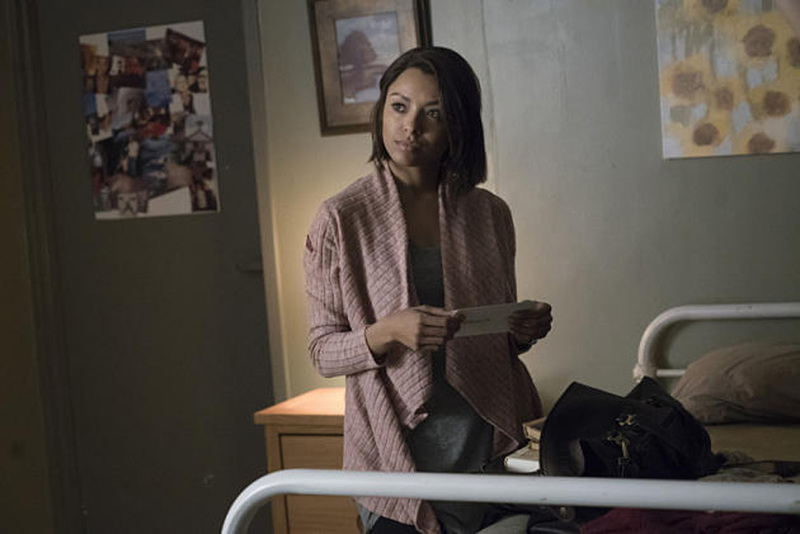 The good news is: Bonnie’s back! And her sad flash-forward as a resident of a mental ward, working on her hopeless “issues,” turns out to have been mostly a ruse as really she is undercover so she can stay hidden from the Armory creeps and because she’s looking for a way back in on her terms. It’s true that Enzo stashed her there, and is supplying her with meds he didn’t realize were deadly to witches (or are they deadly to vamps? All we know is that Mary Louise took a dark turn before immolating herself) that have been shutting down her powers for her own safety. That’s bad news, mostly because Bonnie has been dead before, and she didn’t like it. But she’s so kickass in most of this episode, you hardly notice. She finds her mole, a relative of the Armory staff who warns her there’s a horrible door in the basement of the building that she Must Never Open. So, that’s next week’s plot, for sure. Bonnie gets into a broken mirror glass shard fight with said possibly actually crazy fellow patient, because what else are female psych wards for on TV, really? But Enzo shows up to save her and compel everyone to forget about it (he’s probably the “doctor” she mentioned who might be letting her out soon). 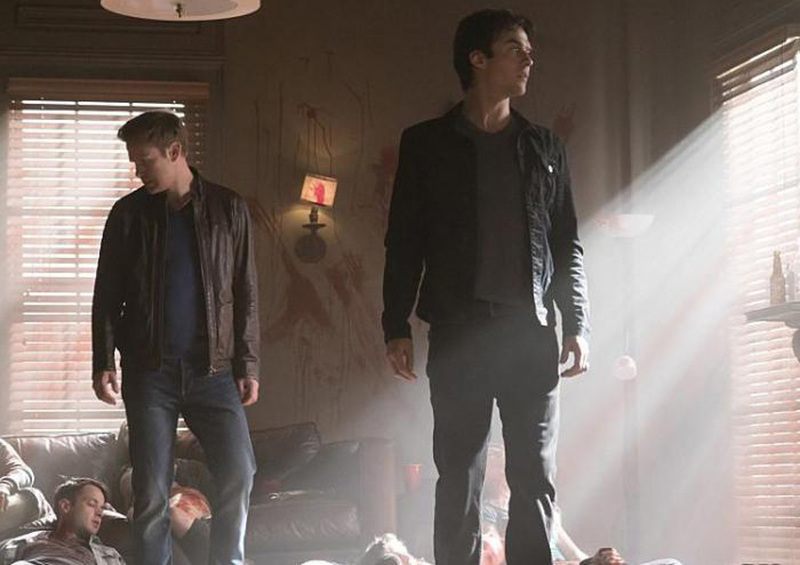 Our other problem was Stefan in the loser alcoholic’s body, while some old vampire creep was using his to carry out his vengeance on a frat house. Why? We’ll never know (and why is not something that ever worries Damon) because the show wastes only a little tantalizing time before getting Stefan back in his proper body (maybe, it’s hard to be trusting this season, everyone keeps suffering such major damage). There is a pause along the way for Valerie to almost die, because such a spell is beyond the reach of any one witch, and plus she wants to use Stefan’s indisposed limbo to see if he really loves her. Which, contrary to all evidence, he doesn’t. This would be a great time for her to die in a huge sacrifice that would give him that delicious guilt he usually lives on even more than blood, but she doesn’t do that either. She just breaks up with him so he can get back with Caroline, even though she’s engaged to Ric (but doesn’t love him as much as he loves her, lots of info dump this week) and she and Stefan are beyond tedium when they’re together. Things whiz by so quick on this show even I lose track, but the last emotional point is Damon doing his all to distract Ric from his fiancé and children and real job that he earned for once, to get him back on the road as a vampire killer ally and it is almost a cool moment when Ric admits that he’s missed their hell-raising ways. Rick, it’s not a rewarding path, bud, just ask Matt.